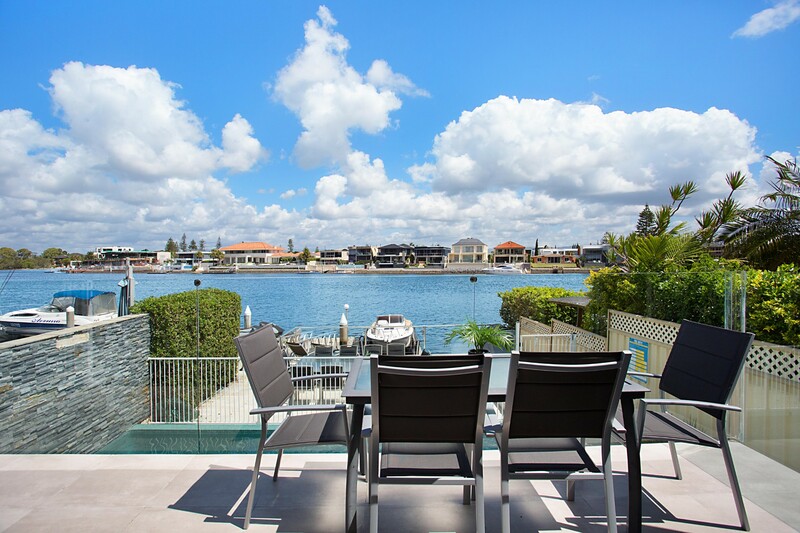 Casa Grande is in a prime waterfront location on the Main River waterway in Surfers Paradise on the Gold Coast. It has four levels of luxury accommodation including a basement entrance and access to the infinity pool and riverfront. Head up (and up!) 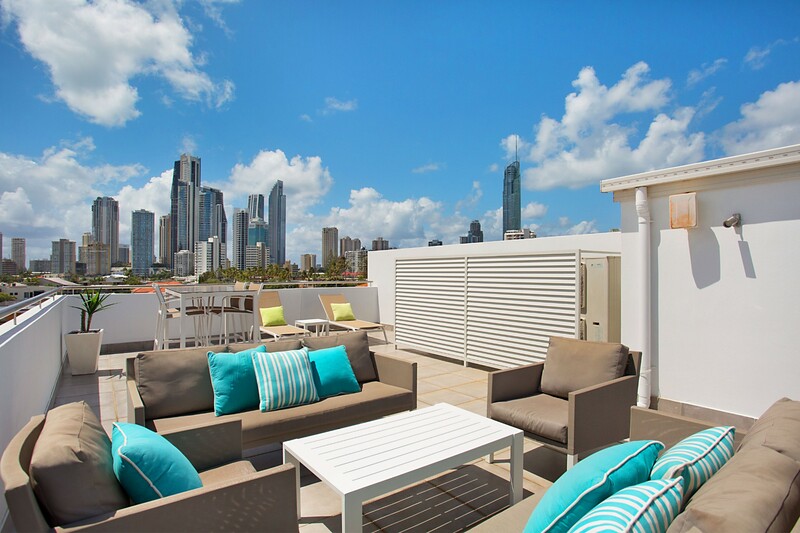 to the rooftop terrace for breathtaking views of the water, city and Gold Coast skyline. You’ll feel on top of the world. Six bedrooms (some with private balconies), a self-contained basement and a choice of living, dining and entertaining spaces allow up to 12 guests to spread out and have fun. 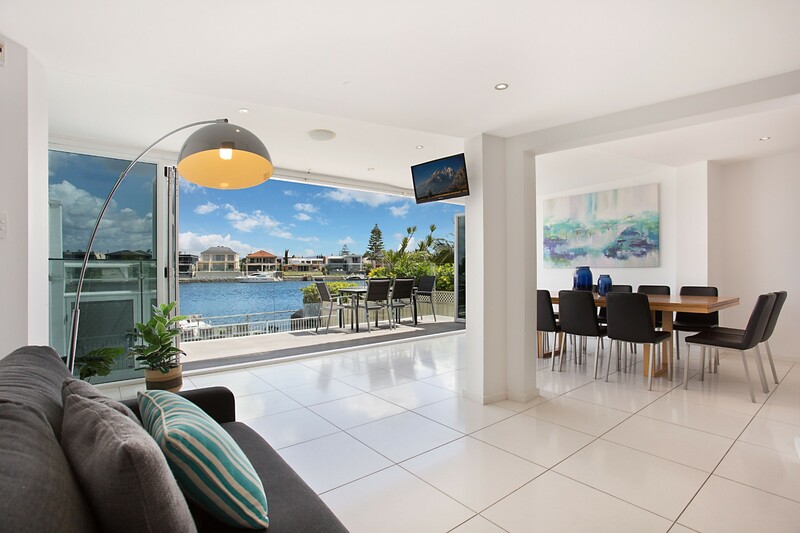 Casa Grande on the Water is within walking distance of most Surfer's Paradise attractions. Top dining and shopping is less than 1km away and the beautiful sandy surfing beach is a similar distance. With a lively nightlife, this Gold Coast hotspot makes a perfect getaway for weddings, family gatherings and reunions. Riverfront location – great for fishing! There’s plenty of place for everyone to spread out and relax with several lounge and dining areas. 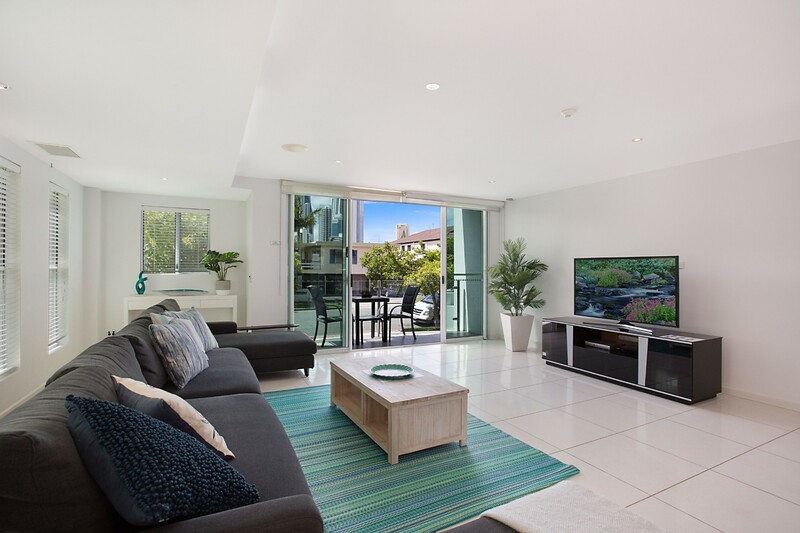 Embrace the breathtaking river views or watch the flatscreen TV as you sit on the sofa in the generous living room. Tile floors flow between the sitting area and formal dining area – ideal for enjoying lively conversation both during and after dinner. There’s a second TV and low-line corner sofa in the basement so everyone can watch their own favourite programmes. Throw open the sliding doors to the terrace and enjoy fresh breezes and fabulous views. 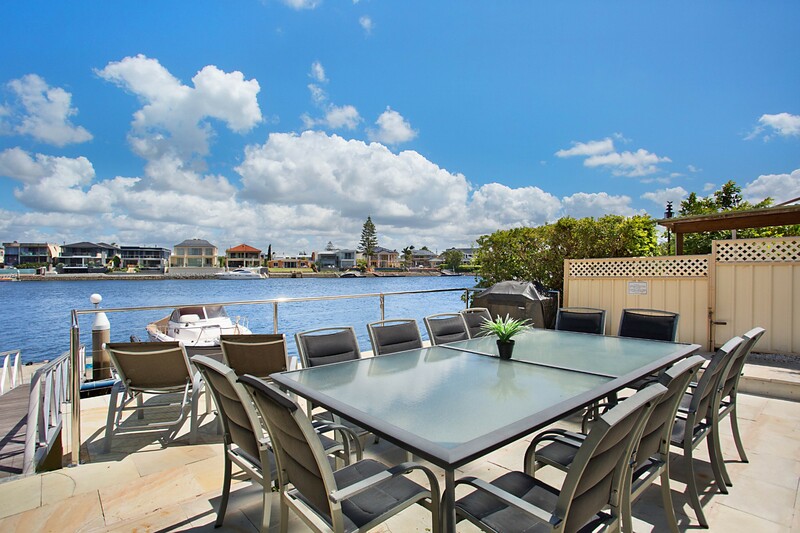 There’s a choice of dining tables – indoors at the family-sized table in the formal dining area or closer to the river breezes on the terrace. Head down to the basement where another sofa and dining table are arranged. Alternatively, enjoy snacks and drinks on the rooftop terrace which also has a small dining table for intimate meals beneath the stars. 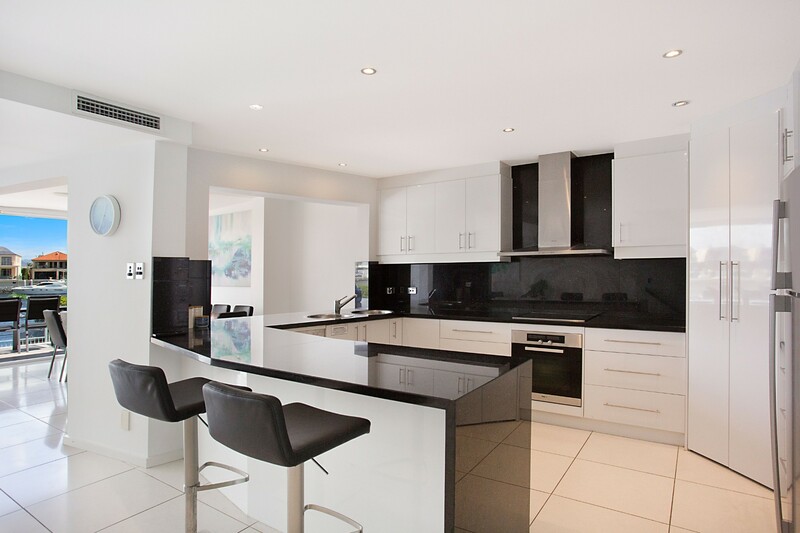 Keen chefs are sure to envy this contemporary black and white kitchen with its gleaming black granite countertops and sleek white units. It’s sure to be the hub of social chatter as you make plans for the day. 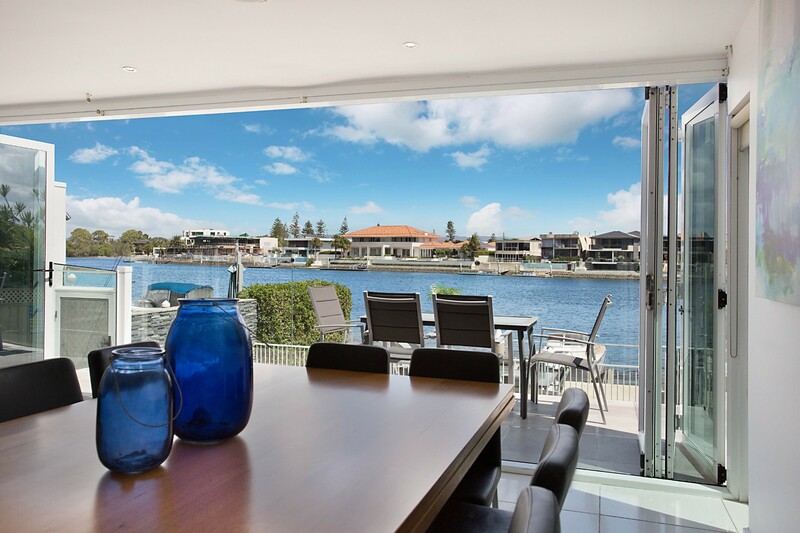 Prepare breakfast, snacks and drinks for the family while enjoying those superb river views through the open doors. Before heading out for the evening, share tasty hors d’oeuvres and a glass of chardonnay over the breakfast bar sitting on elegant high stools. 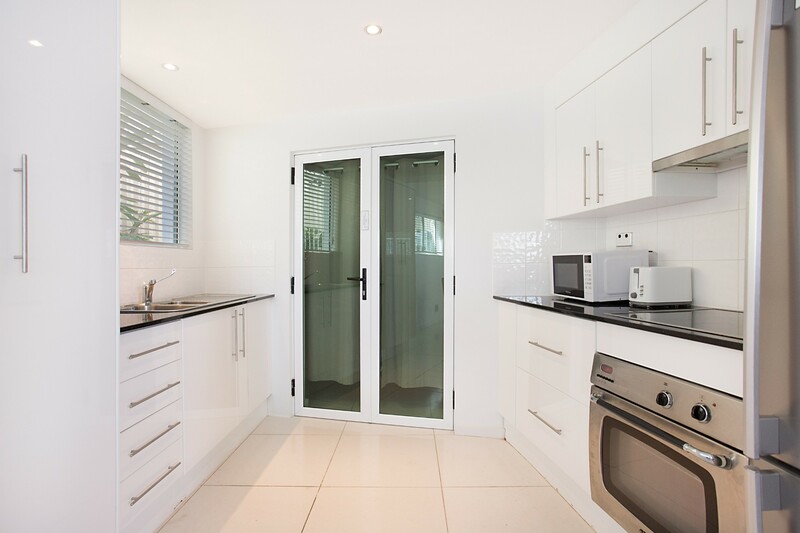 There’s a second kitchen in the basement – ideal for the in-laws or teenagers who want a taste of independence while still being part of the group. 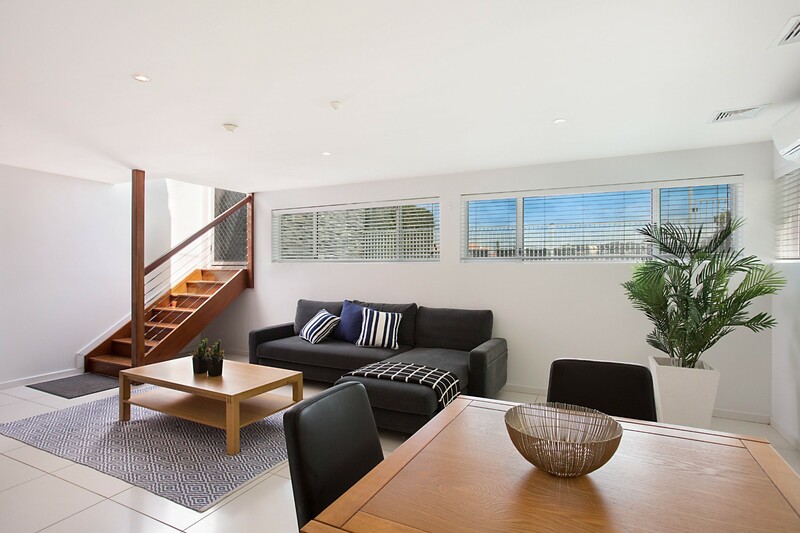 Six spacious bedrooms are spread over the 2nd and 3rd floors with 3 bedrooms on each level. Master bedroom: 1 x queen bed. River views and access to private balcony. 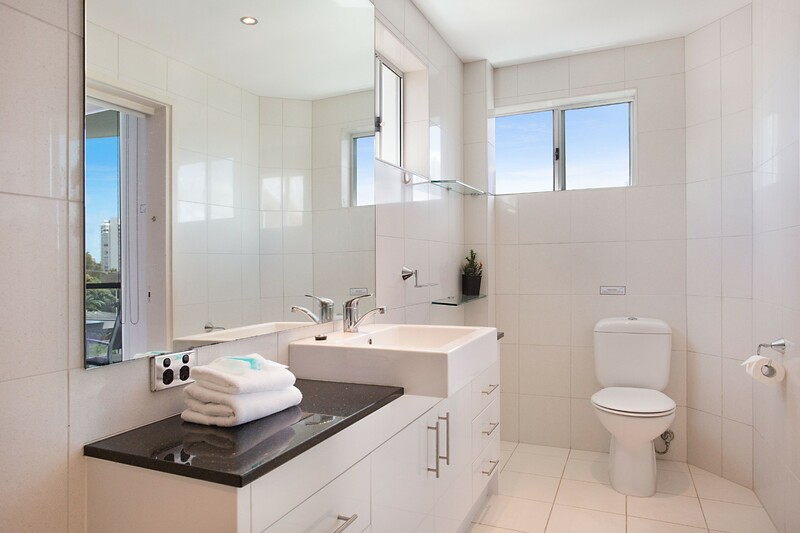 Ensuite bathroom with corner bath and river views. Twin vanity. Bedroom 2: 1 x double bed. Shared bathroom with modern vanity and glass shower cubicle. 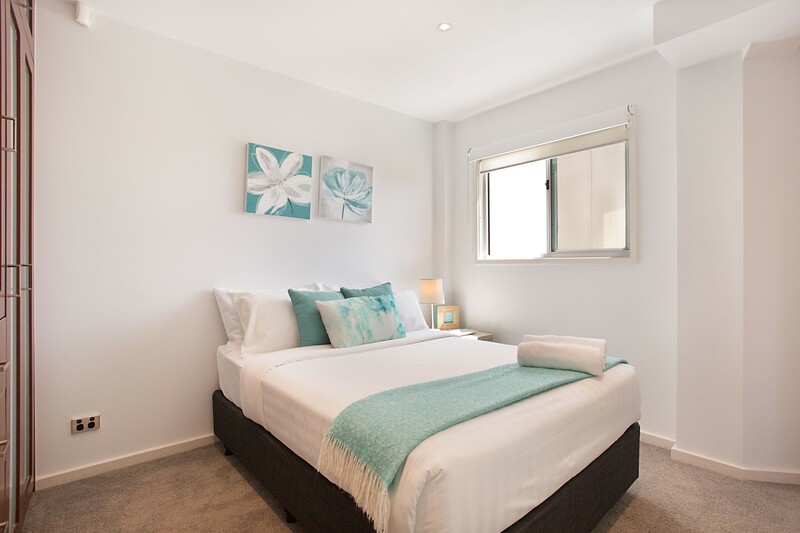 Bedroom 3: 2 x king singles (can be made as 1 x king) with city views and private balcony. Shared bathroom with bedroom 2. Bedroom 4: 1 x queen bed. River views and access to private balcony. Ensuite bathroom with corner tub overlooking the river. Twin vanity. Bedroom 5: 1 x double bed. 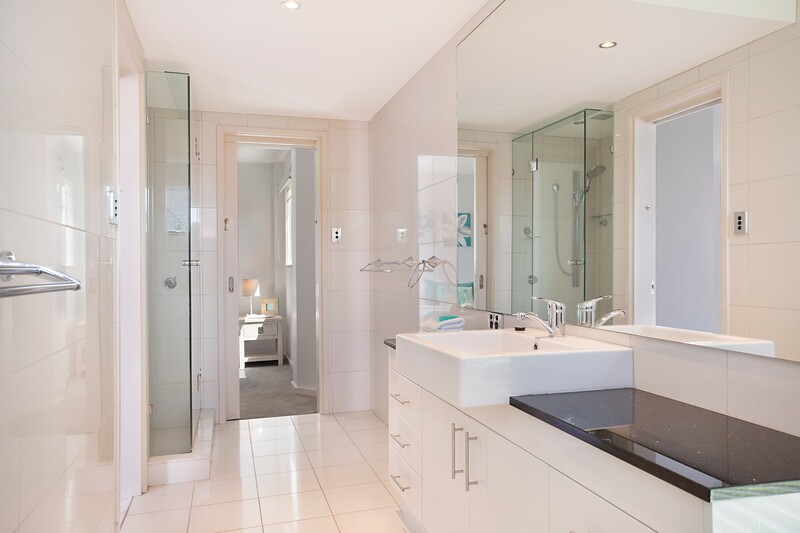 Shared bathroom with modern vanity and glass shower cubicle. 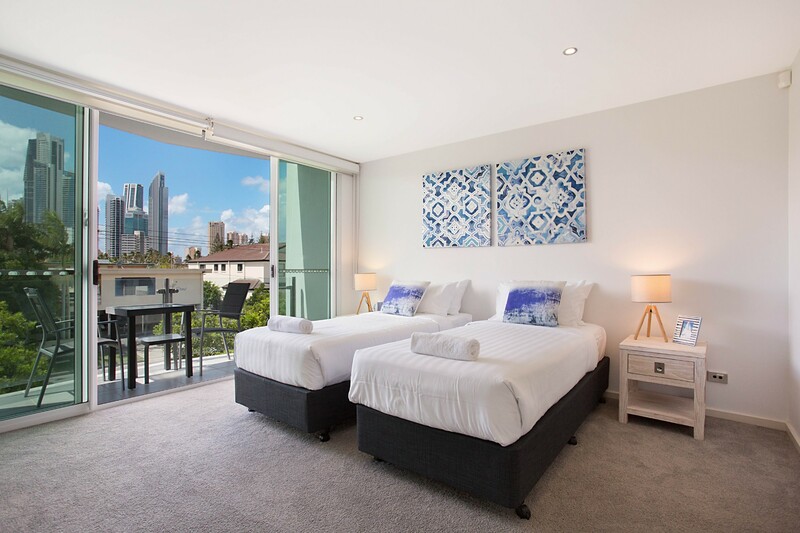 Bedroom 6: 2 x king singles (can be made as 1 x king) with city views and private balcony. Shared bathroom with bedroom 5. Casa Grande on the Water has 5 bathrooms. 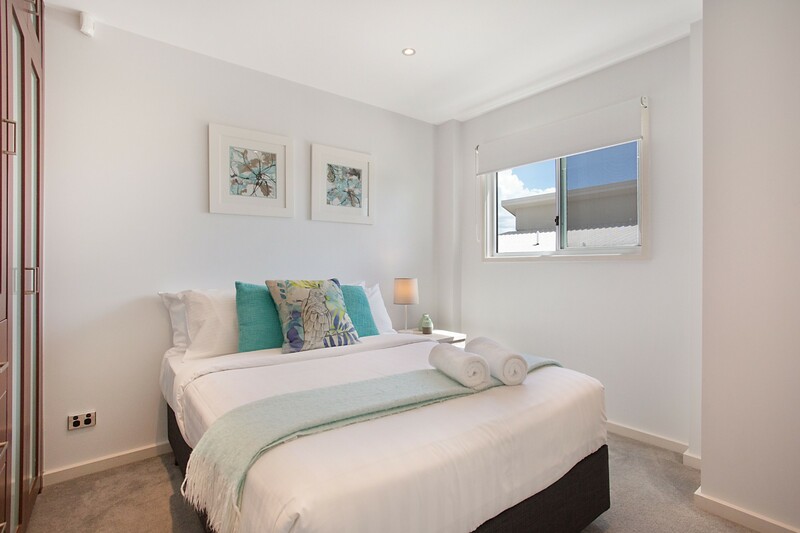 Each bedroom floor has one shared family bathroom plus an ensuite. There is an additional toilet on the rooftop terrace. 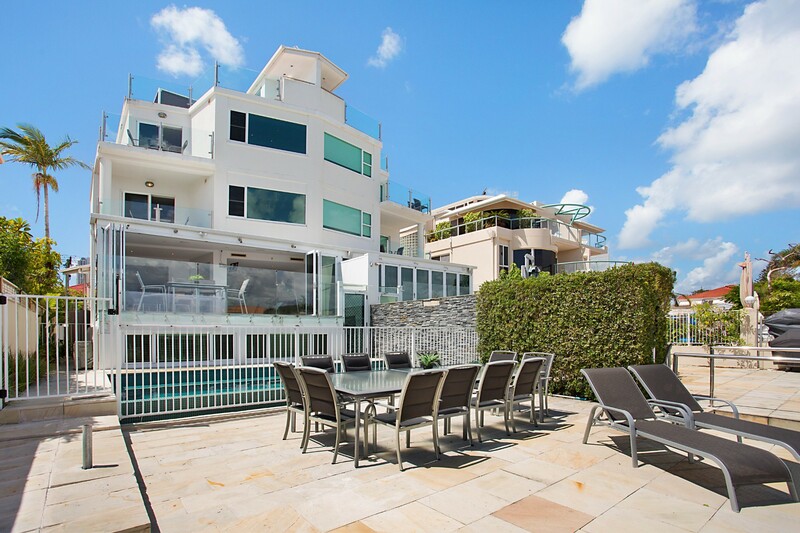 Sunbathe and relax on the rooftop terrace with cushioned sofa seating and superb river views. You’ll feel on top of the world in this peaceful spot which has an additional dining table for al fresco dining. Step out through bifold doors to the main dining and entertaining area. This is where you’ll have the most fun with family and friends, perhaps over drinks, games and dinner. Take a cooling dip in your own private infinity pool and watch the world go by on the river. Keen fishing enthusiasts will want to cast a line into the river and BBQ their catch on the BBQ. 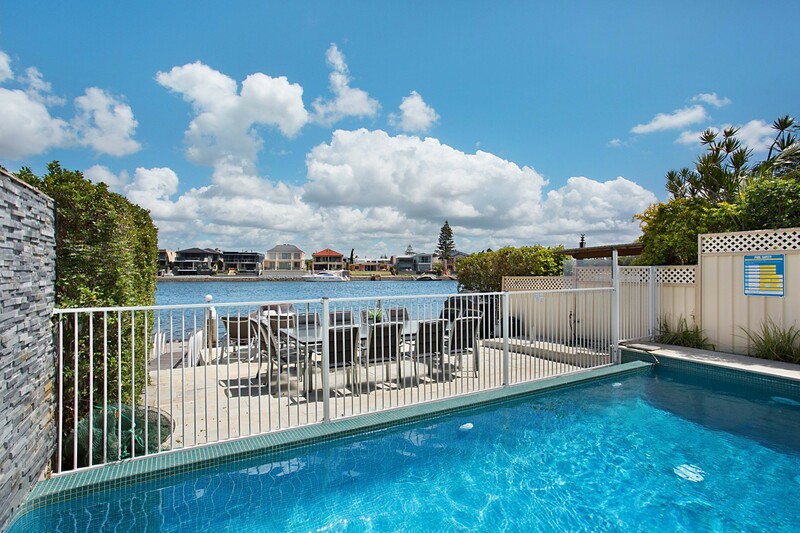 Casa Grande on the Water is a luxury holiday rental located on the Main River in Surfers Paradise, conveniently close to everything. 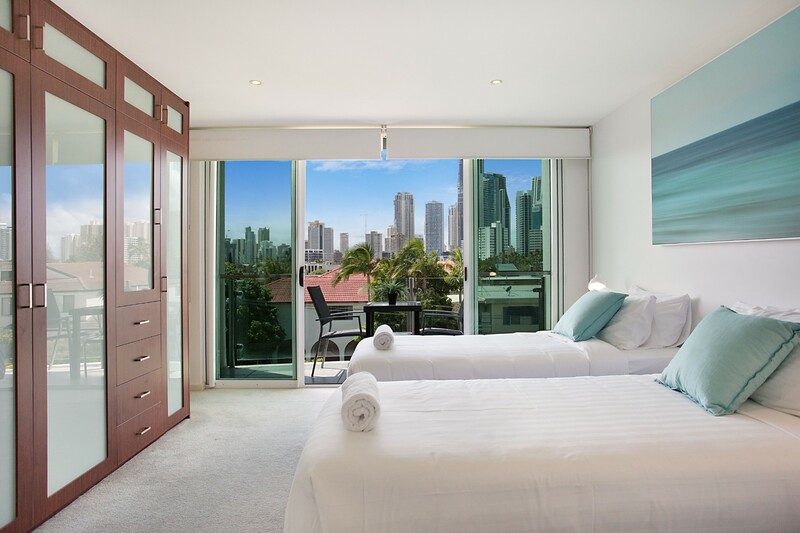 This popular Gold Coast destination has glitzy modern high-rises and a lively nightlife. 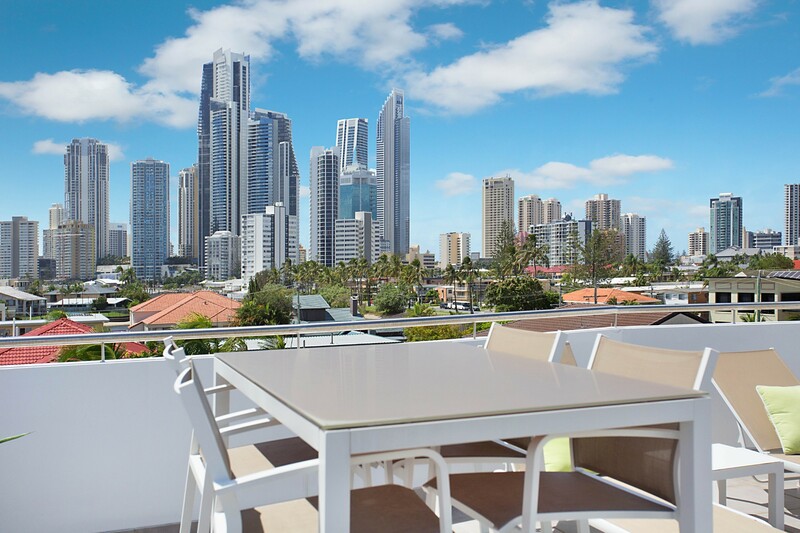 Neighbouring Broadbeach, 6km away, is the place to hunt for bargains on weekend markets or enjoy the arts and crafts provided by street artists. Stroll 800m to the town, shops and 4217 precinct for lunch at Brooklyn Depot or enjoy a caffeine fix at Paradox Coffee. The beach is just 1km from the door for those who want to enjoy the sand and surf that the area is named for. After dark, put on your glad rags and walk to the Cocoon Lounge Bar and Dining, a Gold Coast hotspot. Those with a head for heights will want to take the elevator to the Skypoint Observation Deck and point out familiar landmarks. 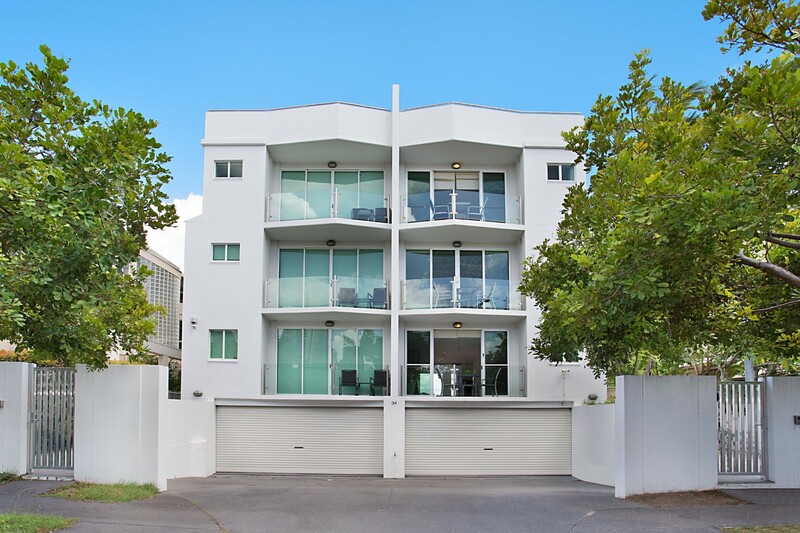 Group restrictions - maximum of 8 adults at the property unless otherwise approved directly with A Perfect Stay/Gold Coast Holiday Rentals. 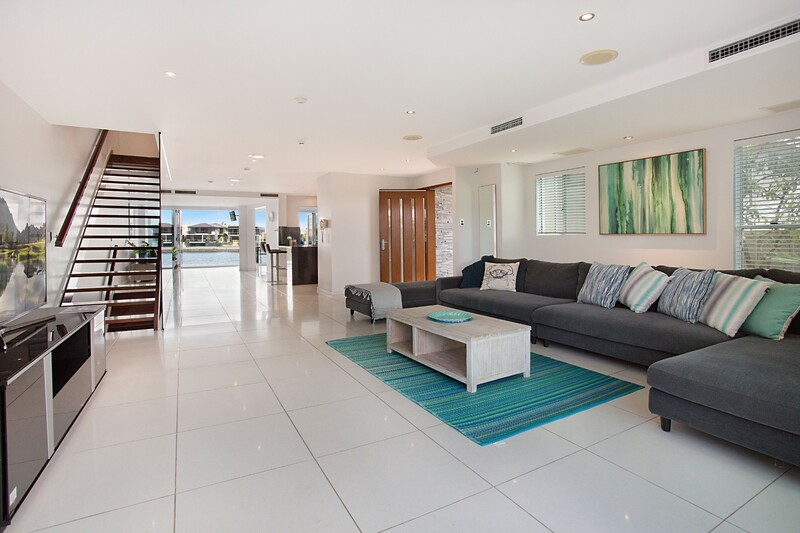 Intimate events, photo/video shoots may be arranged directly with A Perfect Stay/ Gold Coast Holiday Rentals. Additional fees and T&C's apply. Group bookings for those who live between the Gold Coast and Brisbane will be via approval only. 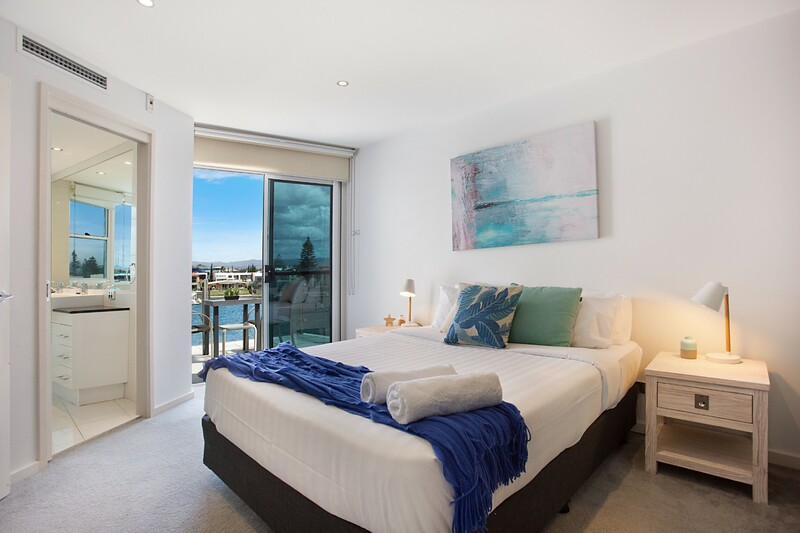 If dates include both Christmas Day and New Year's Eve a 12-night min stay applies, unless otherwise approved directly with A Perfect Stay/ Gold Coast Holiday Rentals. Great place to stay with a large group of extended family members. Loved the views, private balconies, bbq and pool areas! A good mix of space, we could all sit around the dining table to have meals together, plenty of living space options so that we were not under each other’s feet, lots of bathrooms and plenty of kitchen items to use. Would definitely recommend to others that are considering a large family or group holiday. It is in a residential area so not suitable for noisy party groups.